A group of students is aiming to solve the murder of a former Democratic National Committee employee, whose killing has become an online sensation and fodder for conspiracy theorists. The Profiling Project filed a lawsuit against the city, Mayor Muriel Bowser and D.C. Attorney General Karl Racine in D.C. Superior Court late last month demanding police release security footage from a nearby camera as well as medical examiner and ballistic reports from the investigation of slain DNC staffer Seth Rich, according to the complaint. The team is also reviewing evidence, interviewing witnesses and developing a profile of Rich to try to crack the case. Representatives for Bowser and Racine did not return requests to comment. Police found Rich on the corner of Flagler Place and W Street NW face down last July with at least one gunshot wound in his back. Jack Burkman, the president of the lobbyist law firm JM Burkman & Associates, a leader of the anti-Donald Trump movement and Republican lobbyist, created the project in February solely to solve the Rich case. The Profiling Project is a team of about 17 volunteers operating out of a lab in Arlington, Va. It is staffed with about 12 graduate students in GW’s forensic psychology program and experts including an investigator, forensic psychologist, lawyer and public relations representative. Kevin Zhang, a second-year graduate forensic psychology student who is assisting with the project’s investigation, said participants are researching leads and talking to every potential person connected to the case. “We’re all collaborating and conducting background research on people and places that we’ve identified as targets of interest, so we’re trying to come up with working theories as to what might have happened and then try to evaluate plausibility of those theories,” he said. Zhang joined the project in March after a forensic psychology classmate, who is one of the project’s leaders, recruited him and other students to join the effort. He said the group is investigating persons of interest and recovered a nearby security camera at Flagler Market that project members gave to police. The lawsuit requests the department release this tape. Police suspect the killing was part of a botched robbery, NPR reported. Burkman, the founder, said the project has ruled out the possibility of a robbery because Rich’s belongings were not taken and he was shot from behind. Some right-wing outlets claim, without evidence, that Rich, not Russia, was the source of the leak. Conspiracy theories have been floating online and circulated, without evidence, by some prominent conservative pundits about Rich’s case, including that he leaked internal DNC emails to WikiLeaks before his death and could have been killed in retaliation, according to a retracted story by Fox News. Rich was killed around the time that WikiLeaks released thousands of DNC emails that U.S. intelligence agencies concluded were stolen by Russian hackers. Some right-wing outlets claim, without evidence, that Rich, not Russia, was the source of the leak, CNN reported. Burkman said students assist with the leg work and research all possible angles of the investigation, including the political and a Russian-involved angle, but also Rich’s online life to see if police overlooked possible evidence, Burkman said. Burkman said he founded the project to help Rich’s family find closure. After this case is solved, he said that he hopes the project will investigate additional cases. “For some reason, I thought of my mother when I thought of Mary Rich getting that terrible call that morning, just getting a 90 second call the captain of police D.C. police just saying, ‘Your son is dead. We’re sorry,’” he said. 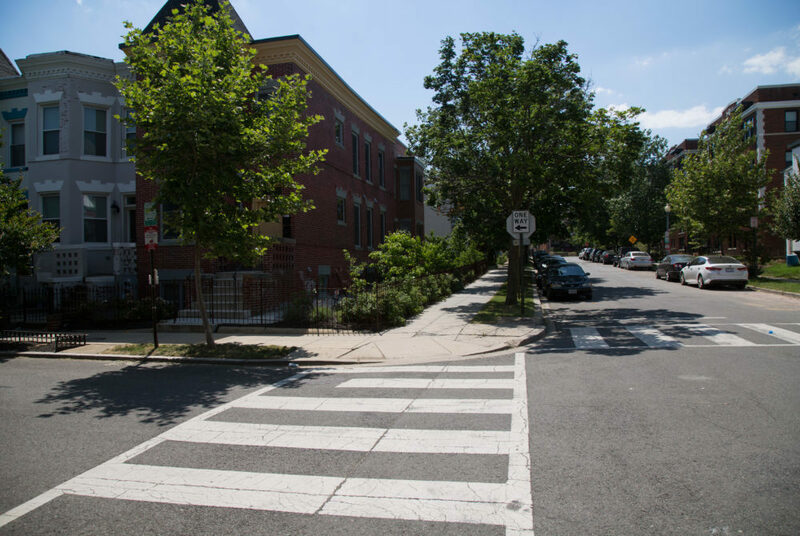 The project is suing for the release of the documents after team members made several unanswered requests to both MPD and Bowser, Burkman said. He said an FBI vehicle was robbed of two guns one hour before Rich was killed, and the ballistic report would show whether those weapons were used in the murder. The medical report would confirm the cause of death and details about the bullets and wounds needed to investigate the case, he said. “The MPD, having mismanaged the murder of an important young man, and wanting to keep such information concealed from public knowledge, is refusing to fulfill its record-keeping obligations and public disclosure requirement and make public those records,” according to the complaint. Rachel Reid, an MPD spokeswoman, said the department has been in contact with the Profiling Project as it relates to Rich’s case. Reid said the department is still considering the crime a botched robbery and declined to comment on the suit and Burkman’s comments about ruling out a robbery. “MPD continues to follow each and every lead that comes in, but because this is an open homicide case, we cannot comment on investigative tactics,” she said in an email.